Riverside Hockey club is the perfect venue and on the opening day, it witnessed some nearly perfect hockey at the SPAR AstroTurf. The first day of the 2018 SA Hockey Women’s IPT, saw only the A Section in action and four of the five games went the way you would expect. To start off the day North West was inspired by National captain Sulette Damons, who netted a hat-trick in a 7-1 demolition of SG Witsies. Lerato Mahlangu also netted twice for Shaun Hulley’s side who also have Dirkie Chamberlain in the ranks. They are a team playing some good cohesive hockey and today was definitely an eye-opener for some of the other teams. Free State was slightly favoured to get victory over Eastern Province, but the youthful line-up from Bloemfontein found themselves trailing 2-1 with only five minutes left. In the end, a late field goal by Cornelle Holtzhausen saved them a 2-2 draw. Southern Gauteng made a convincing start to their attempts to win back the trophy. The extremely experienced line-up was matched by a display of superb heart from the KZN Mynahs team. The Johannesburg ladies managed to win 3-1 but it was far more work than they would have wanted after a truly spirited Mynahs display. Pietie Coetzee’s side scored early through Lilian du Plessis before being pegged back immediately by Stacey Hiron. It took until the final quarter before Sylvia van Jaarsveldt made the game safe. In a game that can often produce a banana skin, Tuffy Western Province took on their “B” side WP Pens. At half-time, the lead was only 1-0 through Quanita Bobbs and nerves were rattled when Micaela Diedericks leveled in the 34th minute. But Bobbs put Tuffy Western Province back in front and they never looked back, eventually running away with a 5-1 win including two late strikes from National capped players Tarryn Glasby and Jade Mayne. The SA Invitational U21 side is a mix of some of the Daisie’s players from PHL and others who have been selected as the greater squad. The tournament is another opportunity for Robin van Ginkel to try combinations and see how the group progresses. Although they were defeated by a very strong Northern Blues side 2-0 they will be impressed with the early signs of the defensive side of the team. 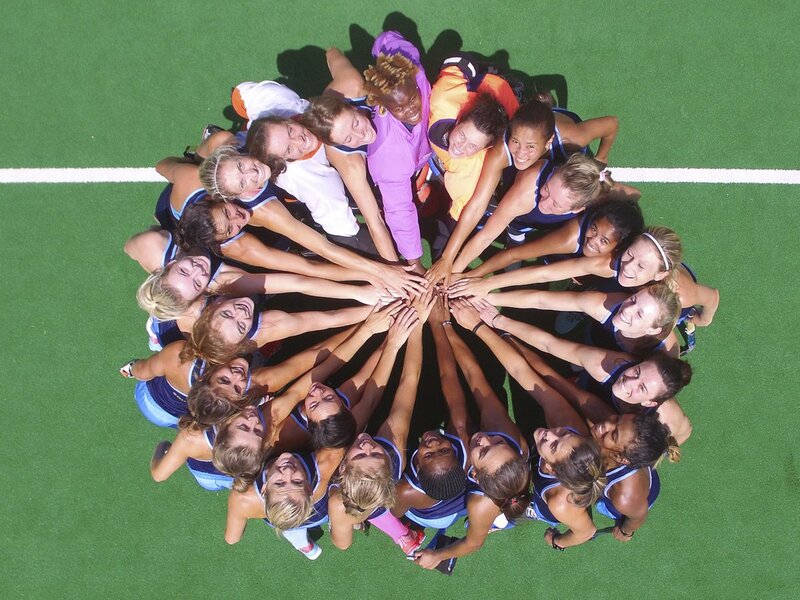 The Northern Blues will consider the goals by Carmen Smith and Marizen Marais to be a job well done. The final match of the opening day saw the hosts SPAR KZN Raiders take on Mpumalanga. Brighty Mashaba knew that his charges would not be able to match the attack of Lennie Botha’s ladies and set up the bus to frustrate. It was a plan that requires your goalkeeper to be on form and that’s exactly what we saw from Charlize Swanepoel who thwarted attack after attack. In the end, the quality of the Raiders was enough as Jacinta Jubb and Jessica Lardant made sure of a 2-0 win. SA Hockey would like to thank our sponsors for their continued and valuable support: Private Property, Tsogo Sun, Old Mutual, iWyze, Grays, Olympic International, SRSA, Virgin Active, Fox 40, Greenfields and Belgotex Sport.